A few posts ago, I shared Antenzella’s gorgeous daughters and her super fun Spud & Chloë hat knitting. Well, there was one sister left and I certainly don’t want to leave anyone out so today I am sharing the third daughter and her new Flap Happy Hat! It’s another beauty, the girl and the hat. I just love her expression and that crinkled up nose. It is so fun and cute. 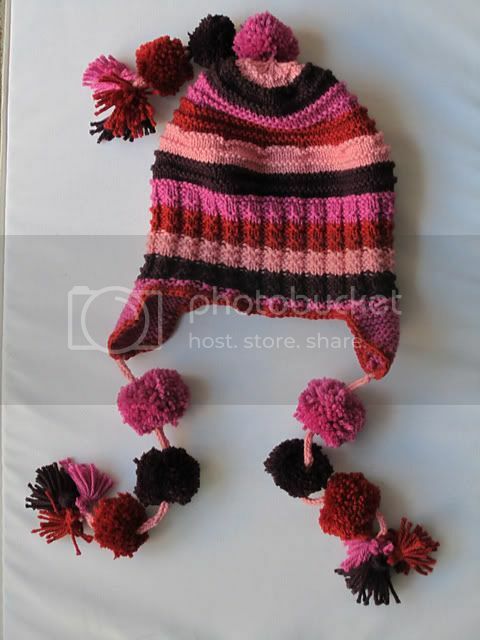 I never get tired of stripes, pom-poms, tassels and earflaps but I guess that may be stating the obvious. Click here for the previous post with the other two daughters. 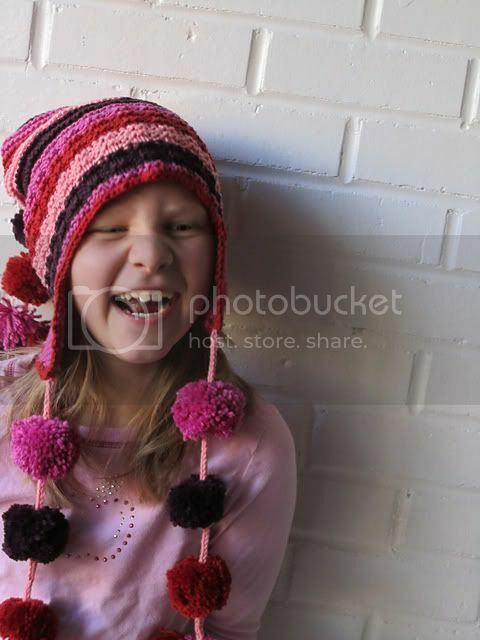 Purchase the pattern for the Flap Happy Hat here online. Purchase the Sweater yarn here. Finally, have a fantastic holiday weekend if you are celebrating Thanksgiving. We give thanks to all of you, the knitters and faithful readers, here at Spud & Chloë. Thank you for all of the support. New Spud & Chloë Patterns – Preview!